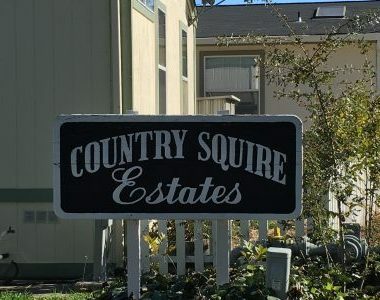 Country Squire Estates is a 175-space, 55- or-older mobile home park community where nature meets urban lifestyle; the park is tucked away in the tranquil, lush forested haven, between the Arcade and Cripple Creeks, but is also close to Sacramento’s urban offerings & roadways – near I-80, and close to theaters, restaurants, and shops, and is some 15-minutes away from Roseville’s malls. The community is perfect for the family, and is perfect for nature and pet lovers. There’s a common garden area where residents can grow their own flowers, fruits, and vegetables, and an enclosed dog-run where owners run with their canine companions. You can also meet and interact with the friendly community, as neighbors gather in the clubhouse for events, social clubs, get-together’s. You can also join them in enjoying the big-screen TV next to the fireplace. We will open you with open arms! You are welcome to become part of our family. Join us and enjoy the peaceful, comfortable life at Country Squire Estates.